California 284 is a north-south state route that travels from Chilcoot north to Frenchman Lake, which was formed in 1961 as part of the State Water Project.1 Photo taken 09/04/10. 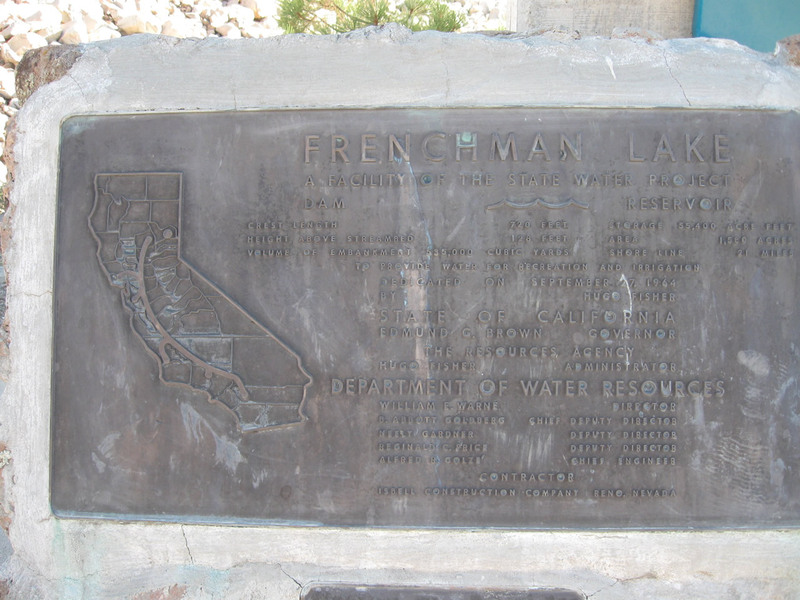 California 284 is Frenchman Lake Road. 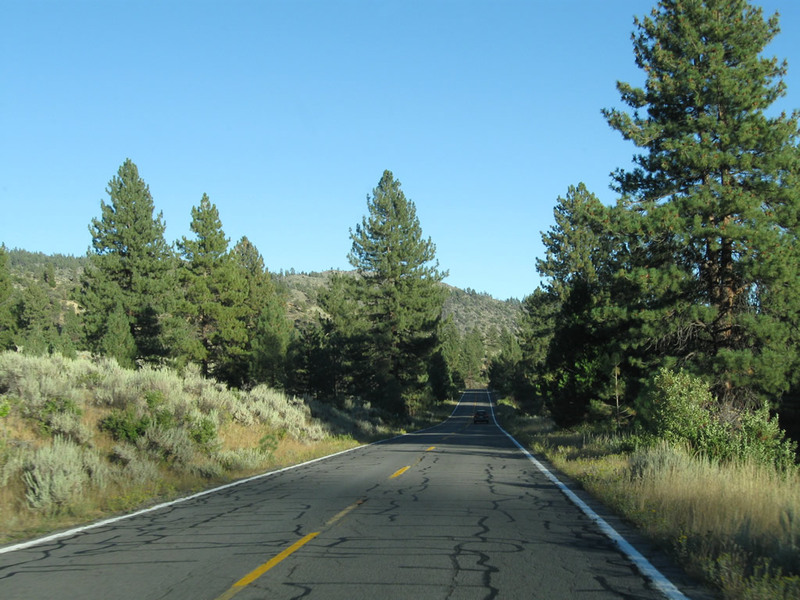 The state route leads about eight miles north from California 70 at Chilcoot to the recreation area at Frenchman Lake. 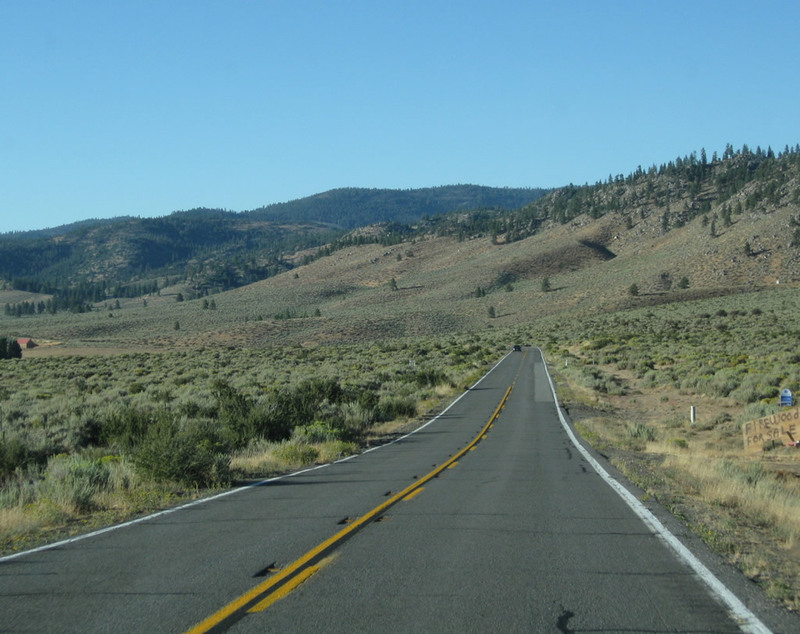 The highway slowly ascends from the unincorporated community of Chilcoot through the Little Last Chance Canyon into the Plumas National Forest and the Frenchman Reservoir State Recreation Area. 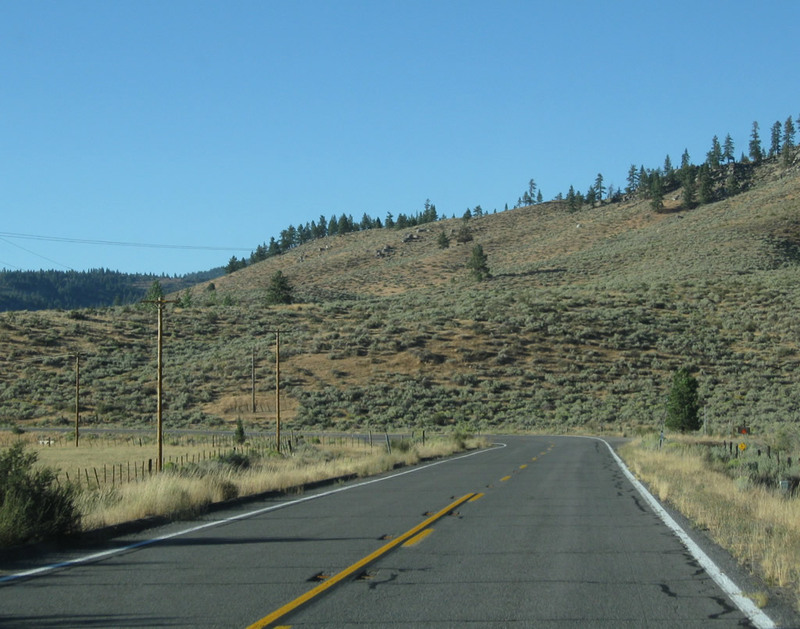 California 284 is a fairly short spur route from California 70 in Chilcoot north to Frenchman Lake, which is part of the State Water Project. 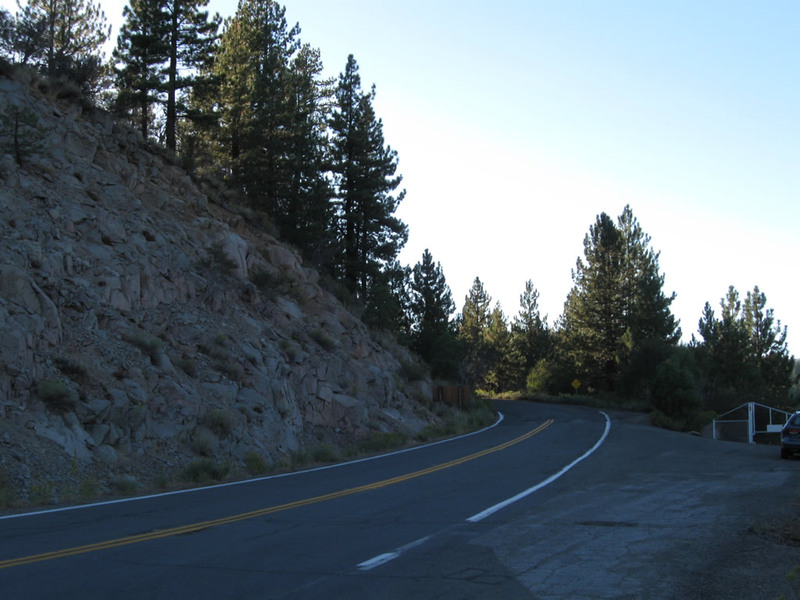 This route starts out relatively straight in the Sierra Valley, but it quickly becomes windy and narrow, as indicated by this sign. 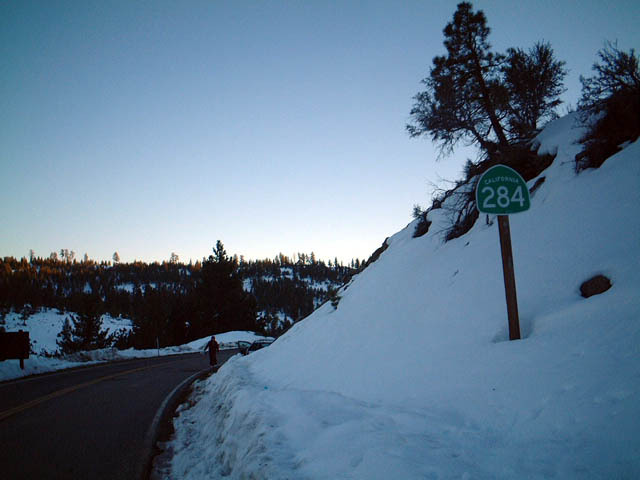 On this wintry day, there wasn't much snow in Chilcoot, but there was substantially more snow along California 284 as the state highway approached the reservoir north of here. Photo taken 01/20/03. 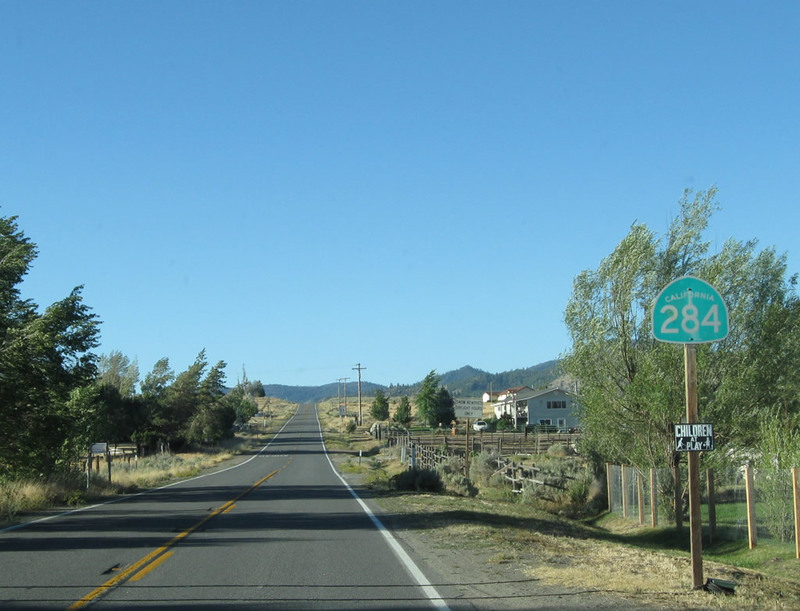 There are only two shields on the mainline of California 284: one at the north end along southbound and another at the south end along northbound. 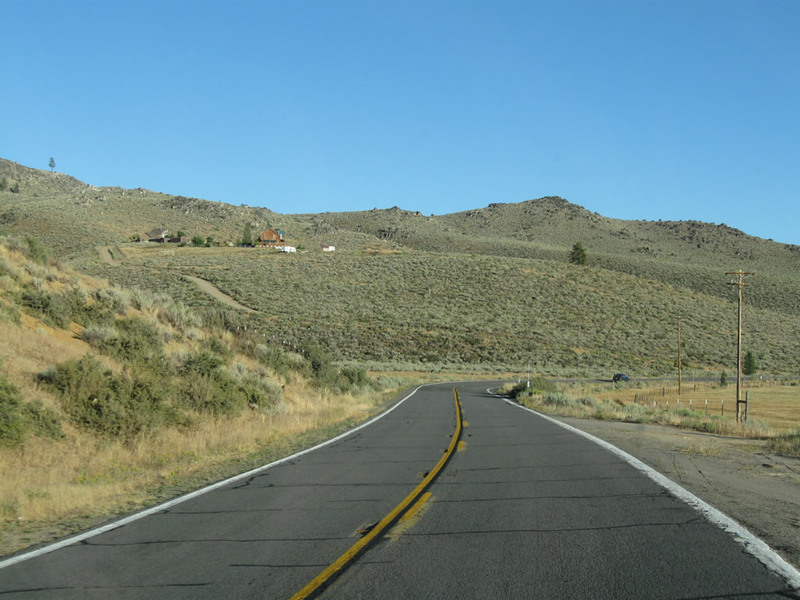 This route marker is located along northbound California 284 as the highway heads out of Chilcoot. Photo taken 09/04/10. 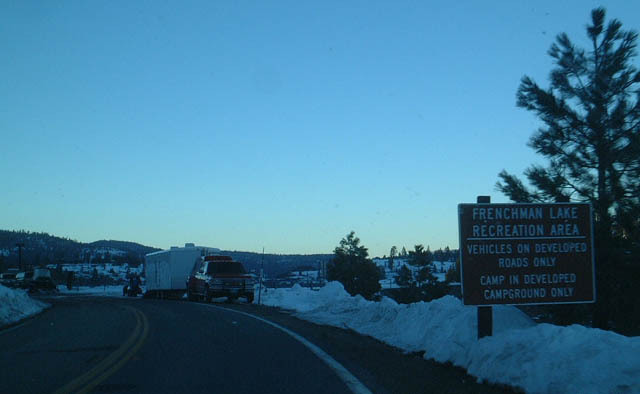 Since California 284 primarily exists to provide access to the recreational area at Frenchman Lake, snow is only plowed during daylight hours. Photo taken 09/04/10. 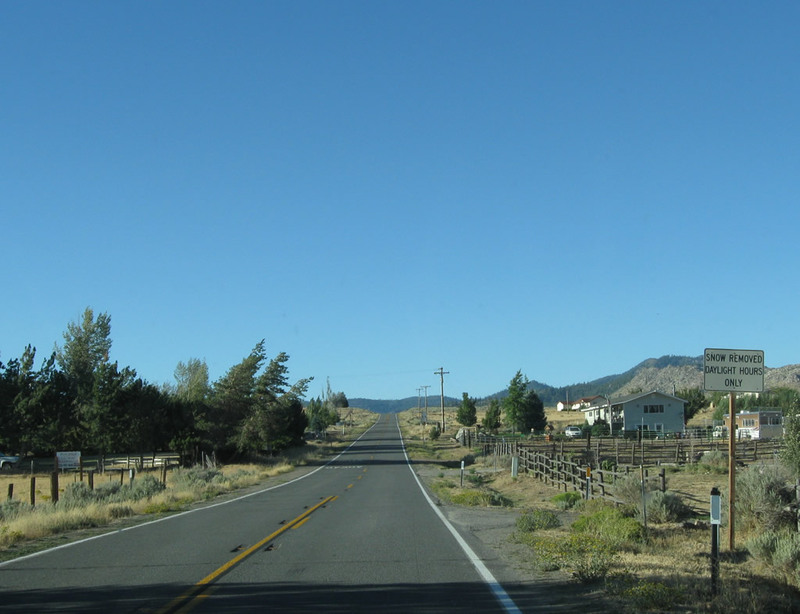 Ranch homes are scattered on both sides of California 284 as we leave Chilcoot. Photo taken 09/04/10. California 284 proceeds north through the northern reaches of the Sierra Valley as it approaches the Diamond Mountains. 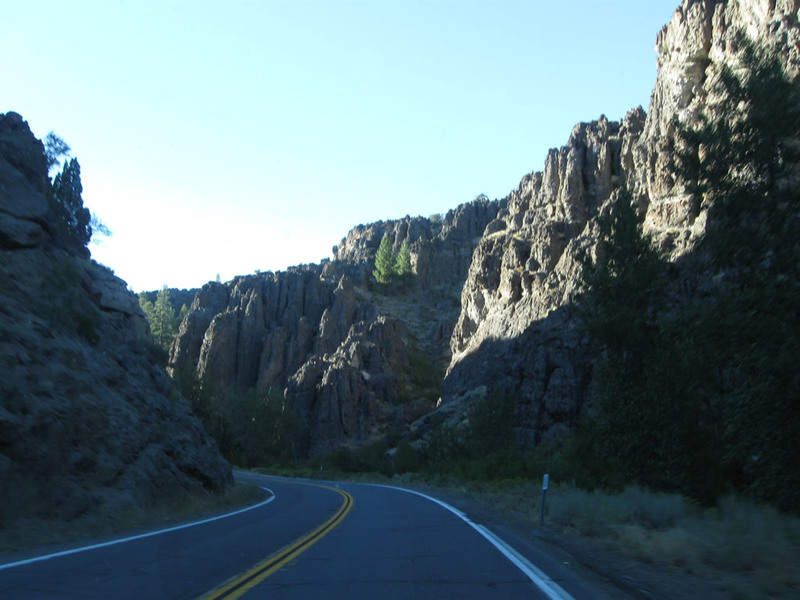 Frenchman Lake is nestled inside the mountains; the state highway will enter the Little Last Chance Canyon Scenic Area. Photo taken 09/04/10. 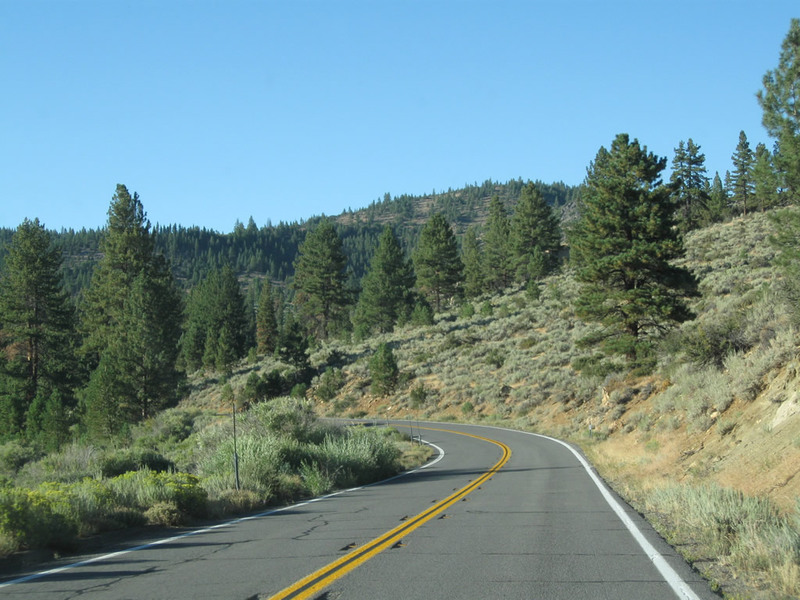 Upon reaching the foothills, the state highway curves with the terrain, enters Plumas National Forest, and uses a canyon en route to the lake. 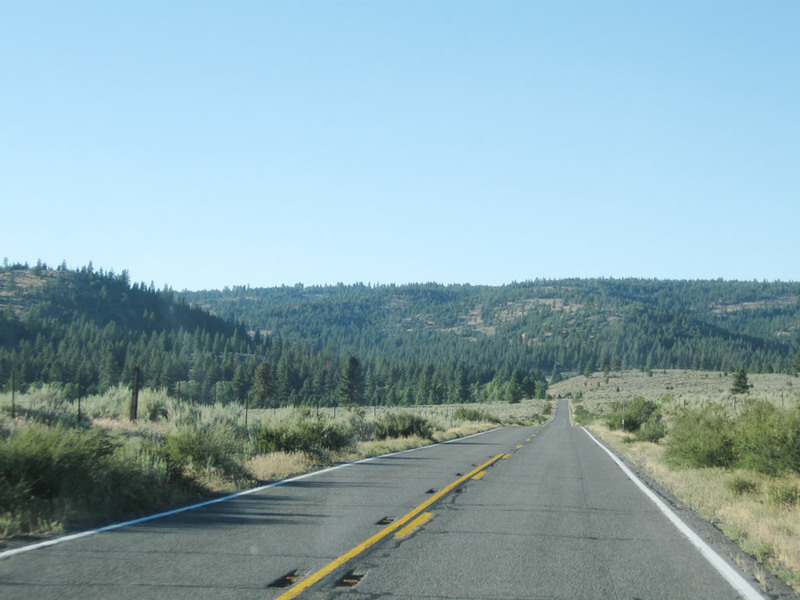 After a few bridges over Little Last Chance Creek, California 284 gains elevation to reach the southern edge of Frenchman Lake, where the state highway ends. No end shield is present. Photos taken 09/04/10. 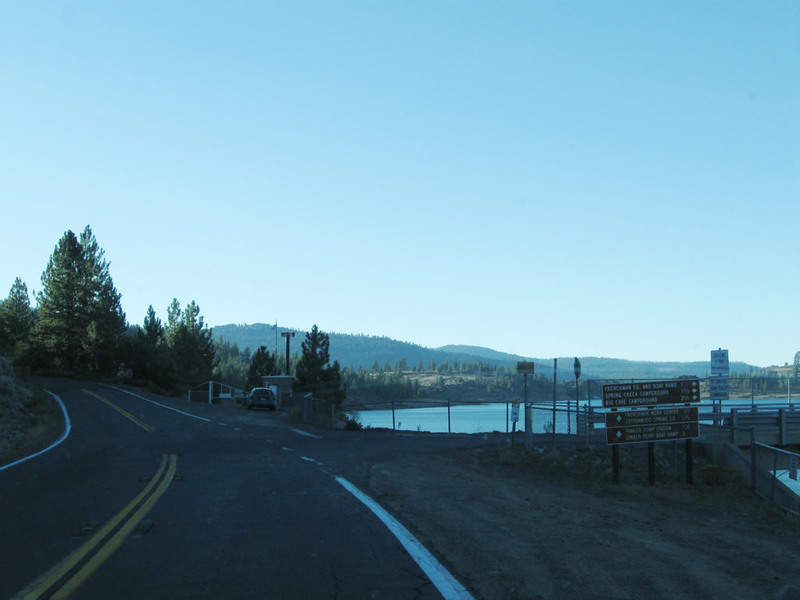 California 284 reaches its northern terminus at Frenchman Lake. 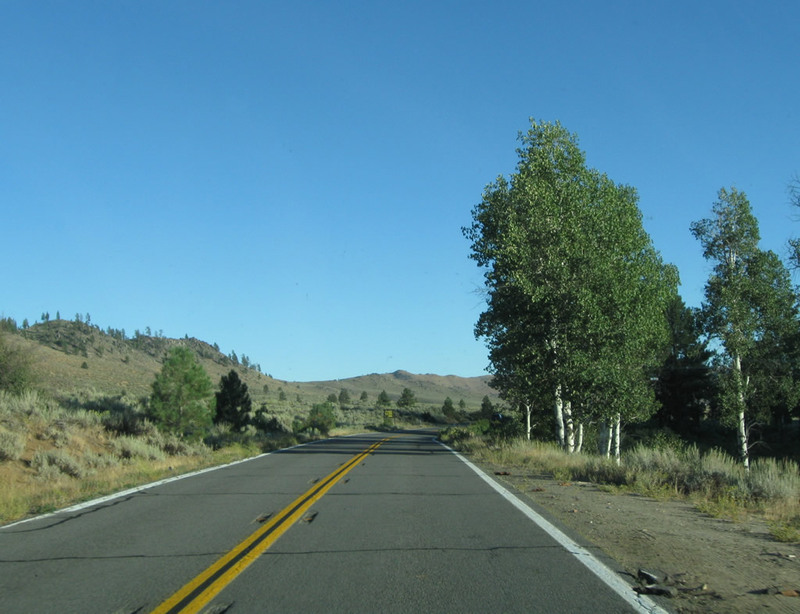 The highway transitions into Forest Service Route 11. Note all the snow, which shows the elevation gain between the town and the lake. Quite a bit of snow was on the ground in the winter scene from 2003. Photos taken 09/04/10 and 01/20/03. 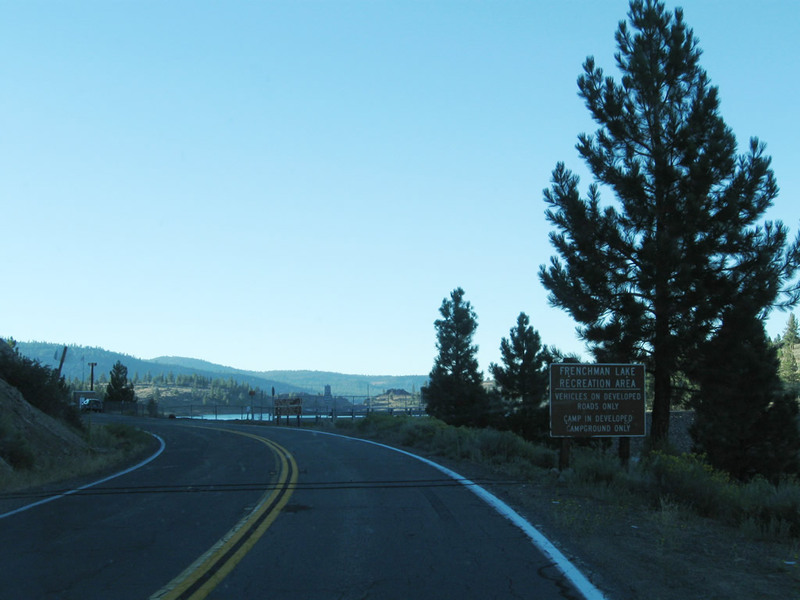 As California 284 comes to an end, continue straight ahead for Forest Service Route 11 or turn right to cross the dam to a small parking area that overlooks Frenchman Lake itself. 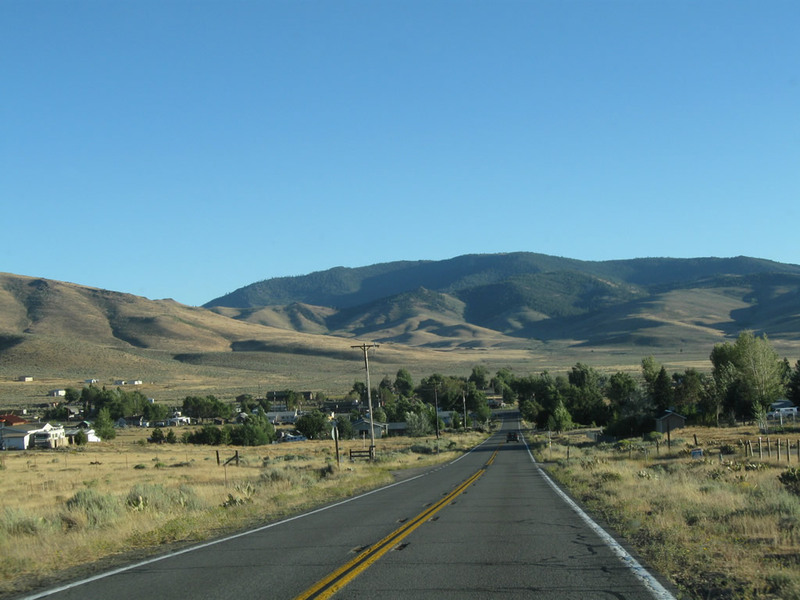 Due to the late afternoon hour, the sun had already hid behind the nearby mountains and hills. Photo taken 09/04/10. 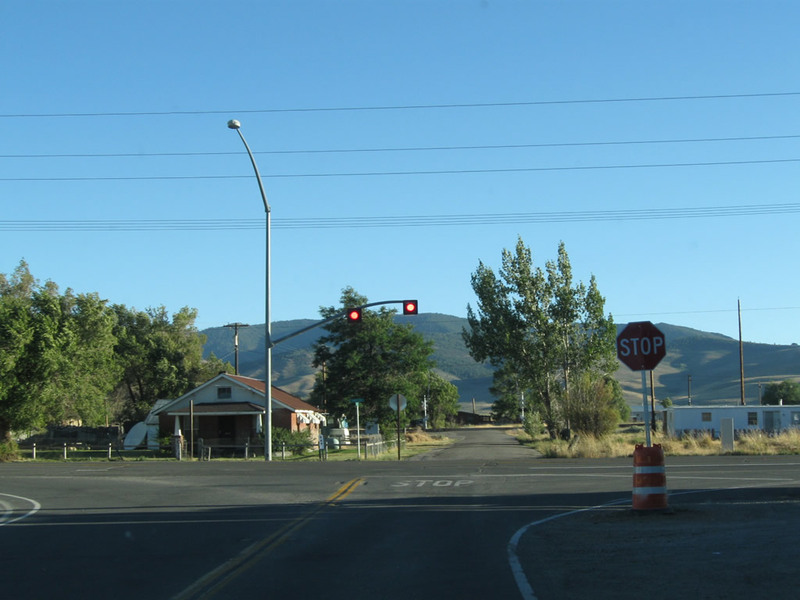 State highway maintenance ends just after the dam road intersection. 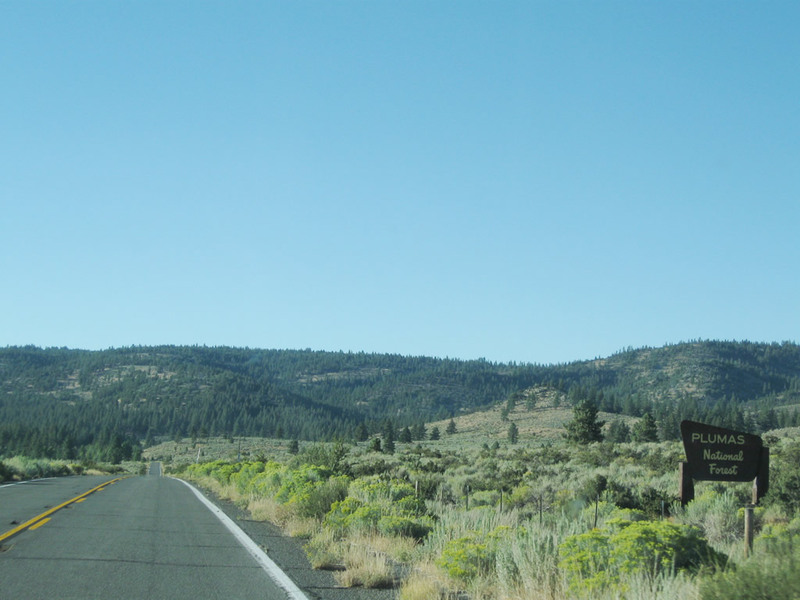 Forest Service Route 11 proceeds northwest from here. Photo taken 09/04/10. 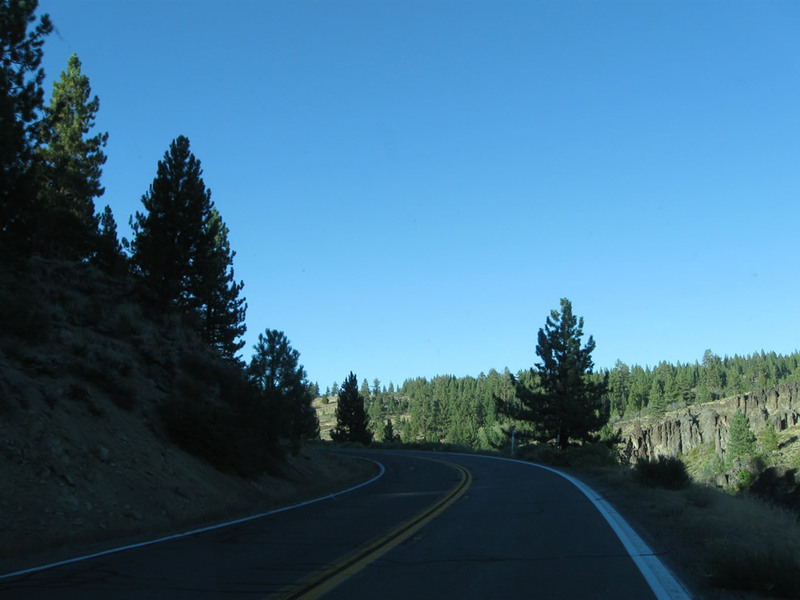 Now traveling in the southbound direction, California 284 begins upon leaving Frenchman Lake and descending into Little Lost Chance Canyon. Photos taken 09/04/10 and 01/20/03. 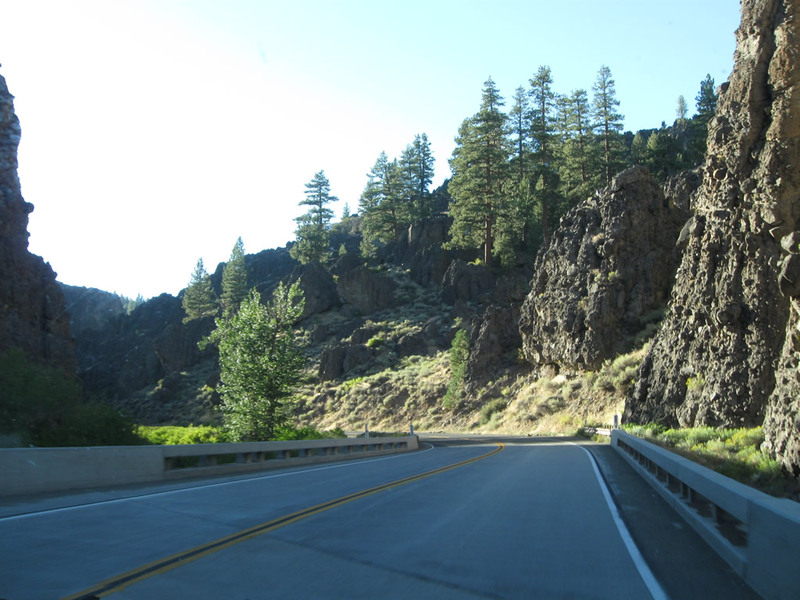 Cruising through Little Last Chance Canyon, California 284 sees several sheer cliff walls and bridges that cross over the creek of the same name. Photo taken 09/04/10. 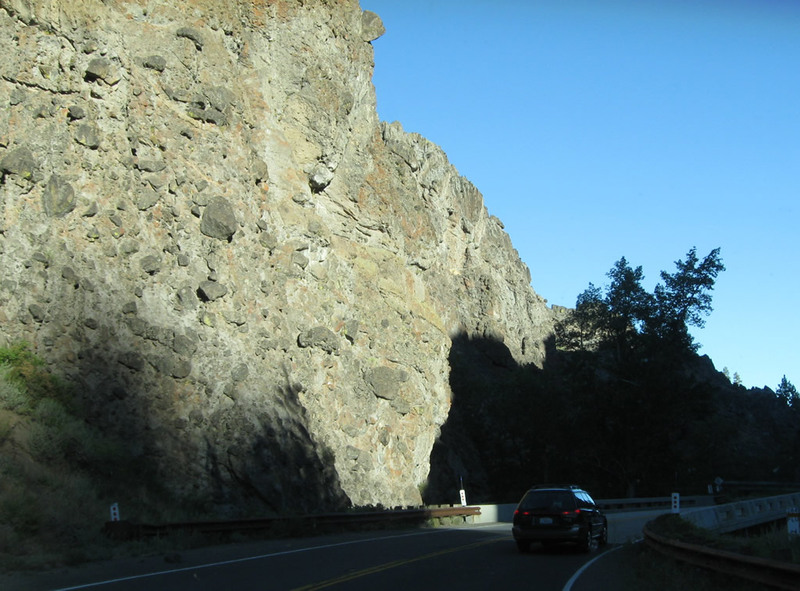 Late-afternoon sunshine brightens the drive as California 284 leaves the narrowest portion of Little Last Chance Canyon and proceeds south toward Chilcoot. Photo taken 09/04/10. California 284 proceeds south from Little Last Chance Canyon into the northern reaches of the Sierra Valley, then continues south toward Chilcoot. Photos taken 09/04/10. 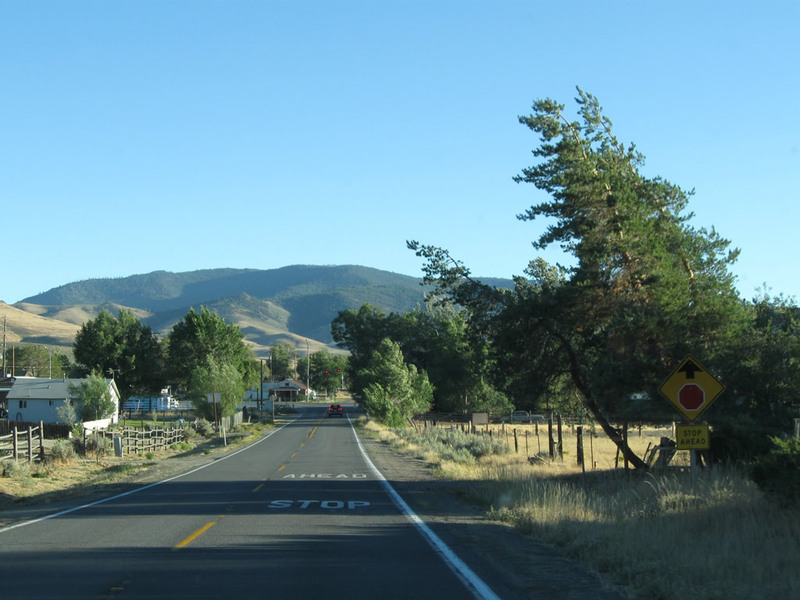 California 284 approaches the community of Chilcoot and its junction with California 70 (Feather River Highway). Photo taken 09/04/10. 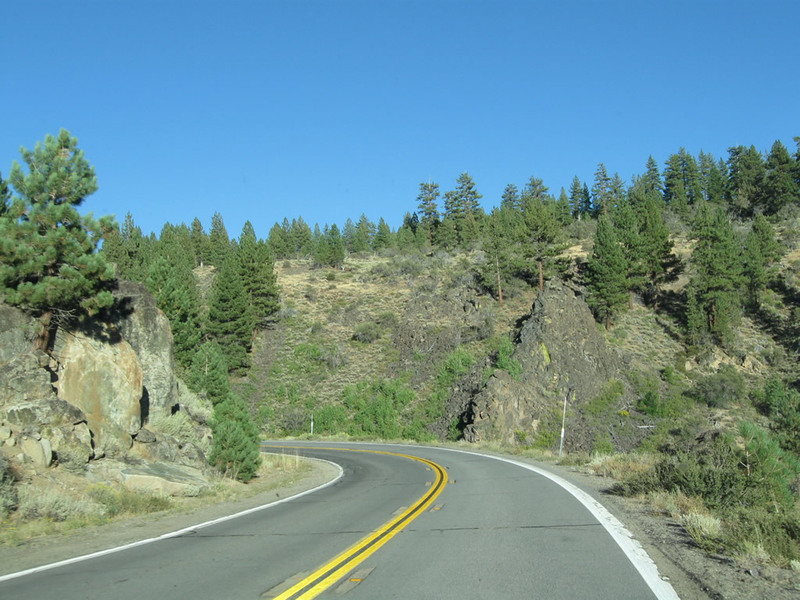 Southbound California 284 ends at its junction with California 70 (Feather River Highway) in Chilcoot. 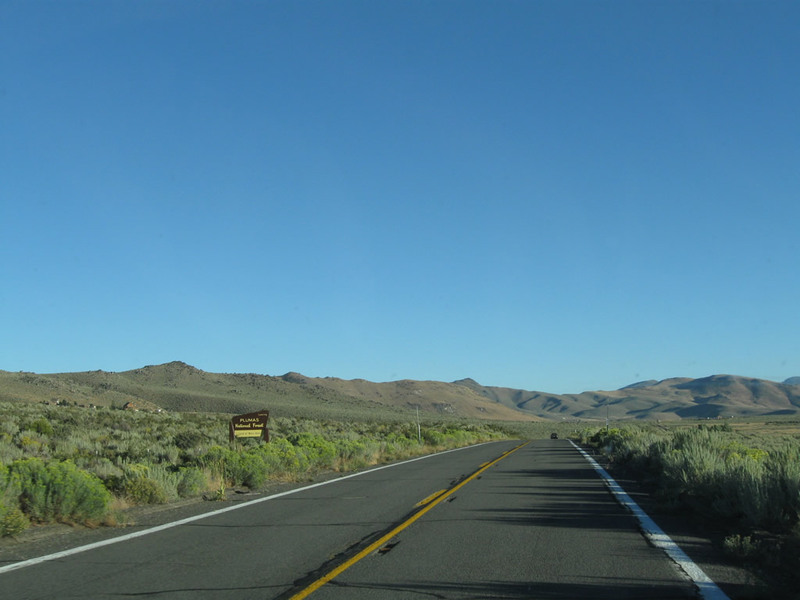 At the stop sign, turn left for California 70 east to Hallelujah Junction and U.S. 395 south to Reno. 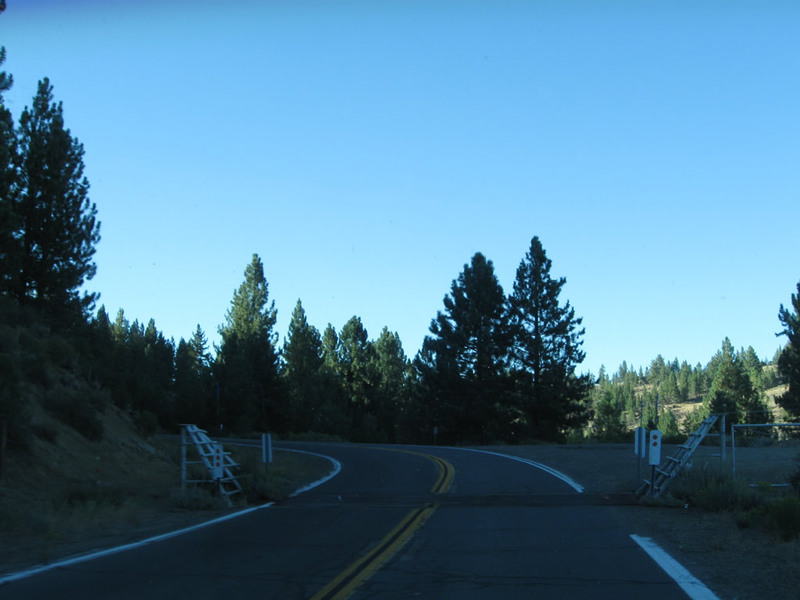 Turn right for California 70 west to California 49 south, Portola, and Quincy. Photo taken 09/04/10. 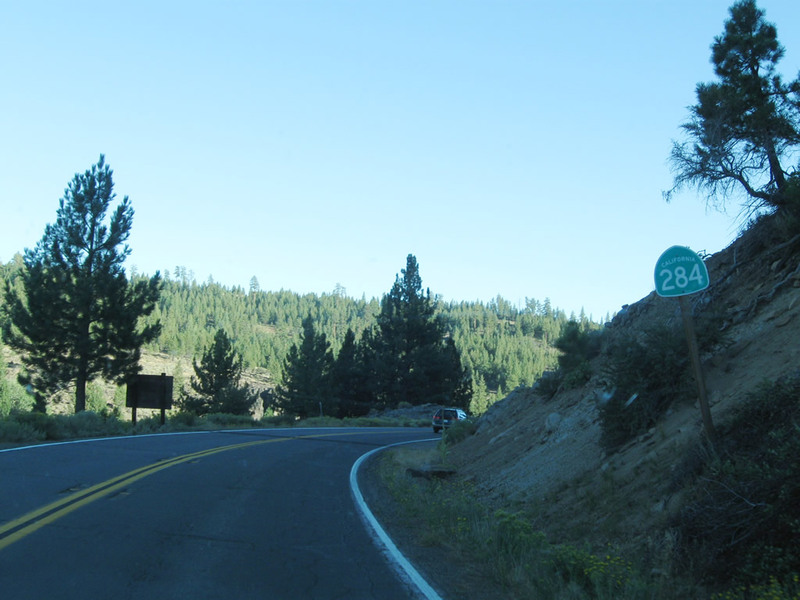 California 284 meets California 70 (Feather River Highway) at this stop sign. 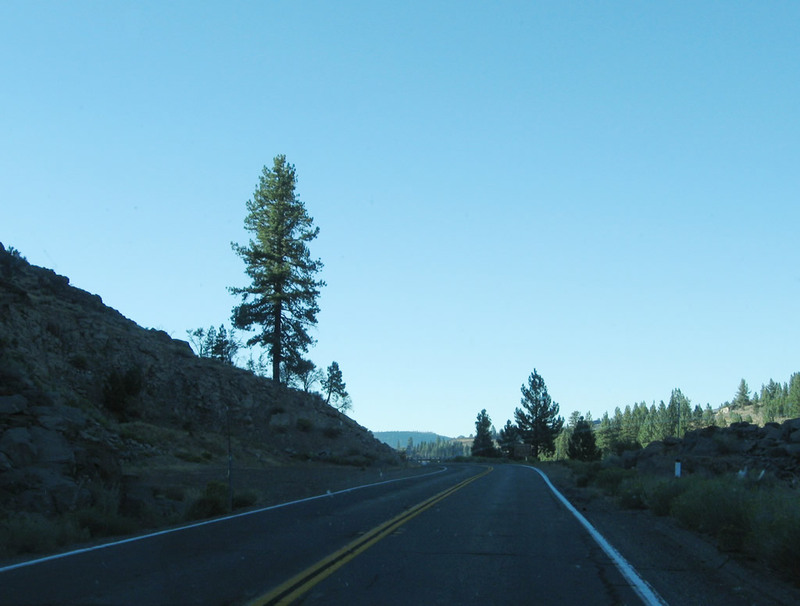 Oddly, there are no advance signs for the junction with California 70. 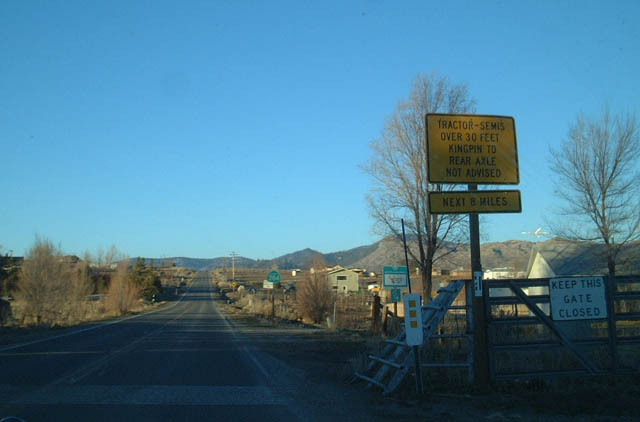 No end sign is posted for California 284. Photo taken 09/04/10. 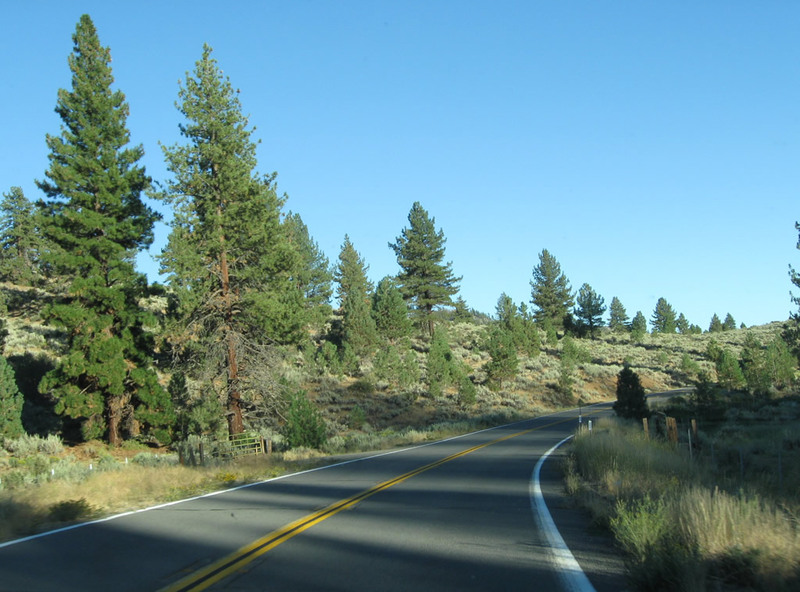 This picture shows the narrow road that connects California 284 to a small parking area on the southeastern corner of the lake. 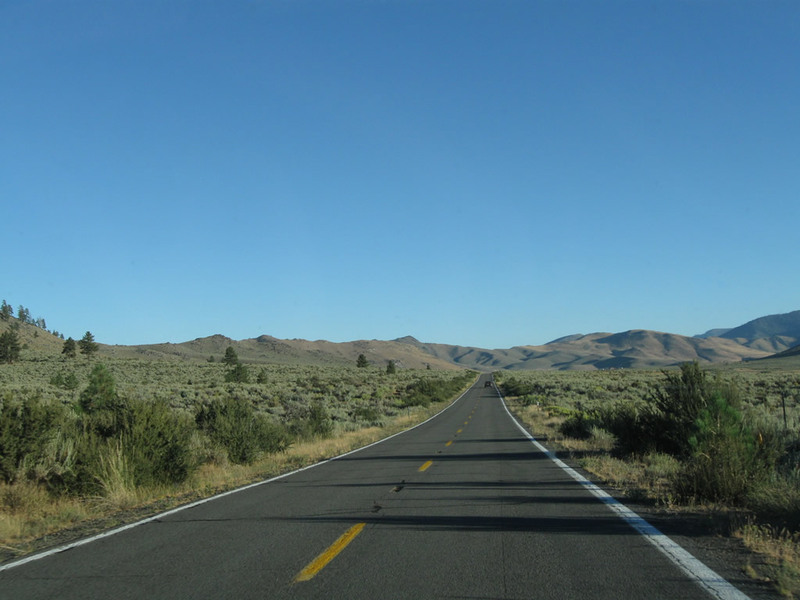 This road is not part of the state highway but is accessible from the north end of California 284. 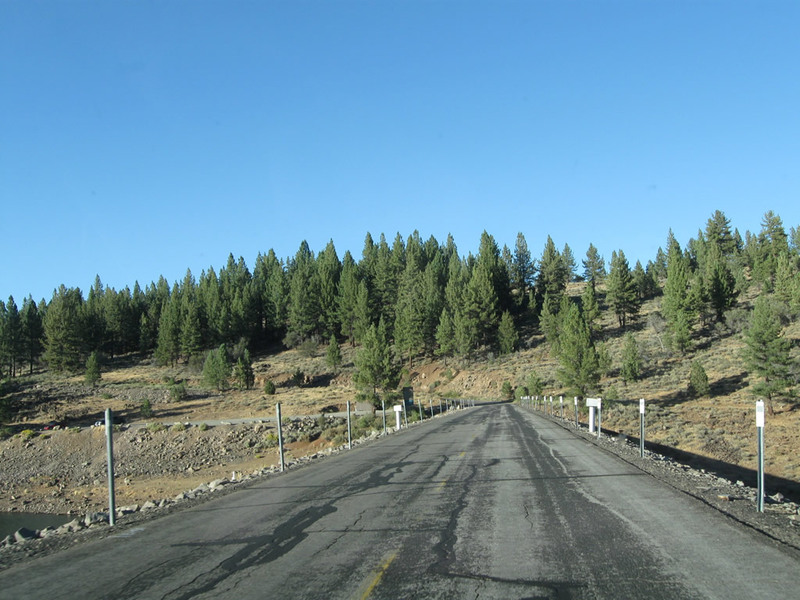 To the left (north) is the lake, and to the right (south) is the spillway leading into Little Last Chance Canyon. 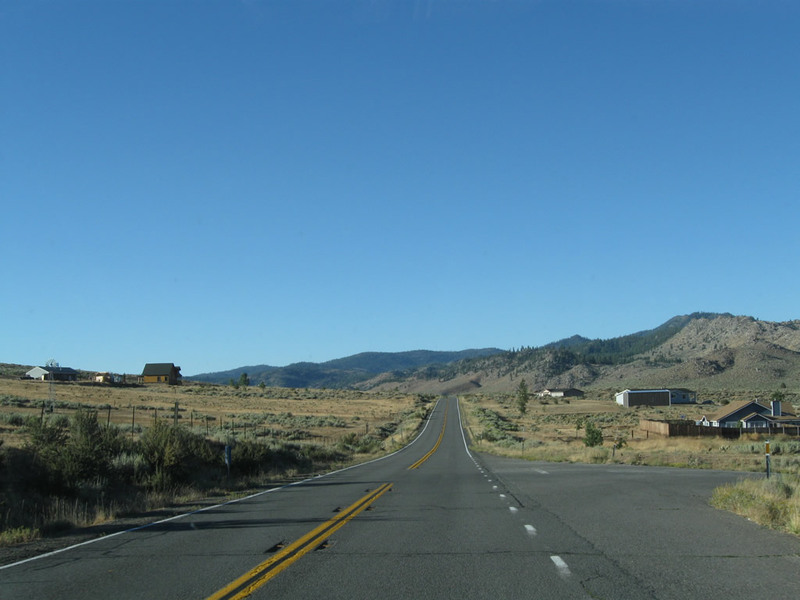 The aforementioned parking lot is ahead on the left. Photo taken 09/04/10. Frenchman Lake lies north of the dam road. Photo taken 09/04/10. 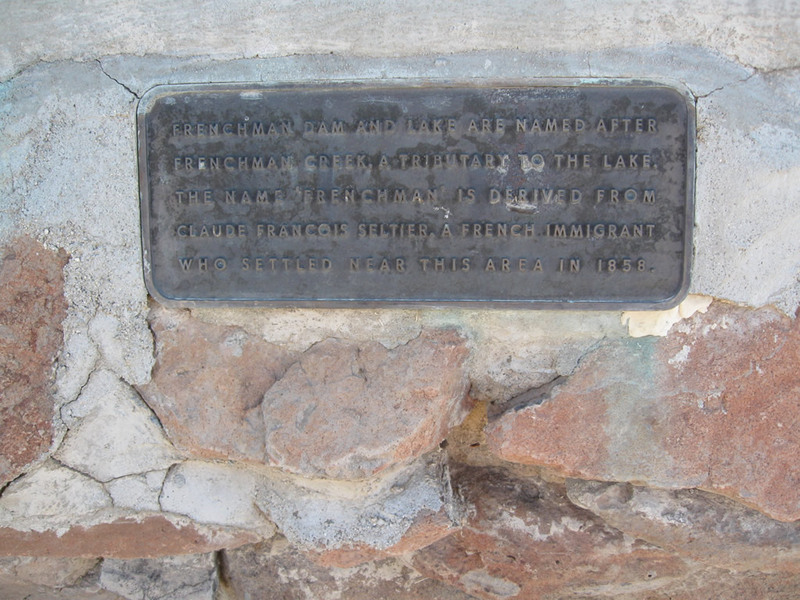 This series of pictures shows Frenchman Lake, its dam, and monument/plaque as seen from a small parking area on the southeastern corner of the lake. 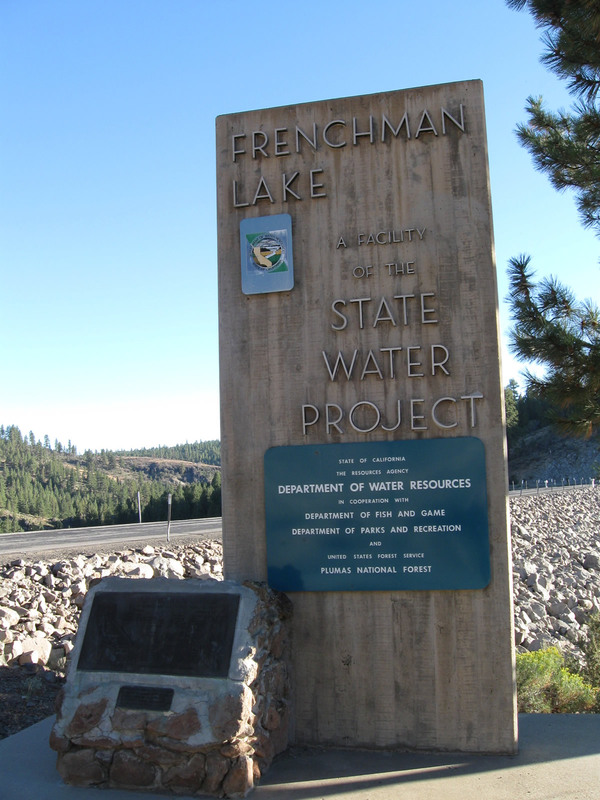 Frenchman Lake is a reservoir formed along the Little Last Chance Creek. 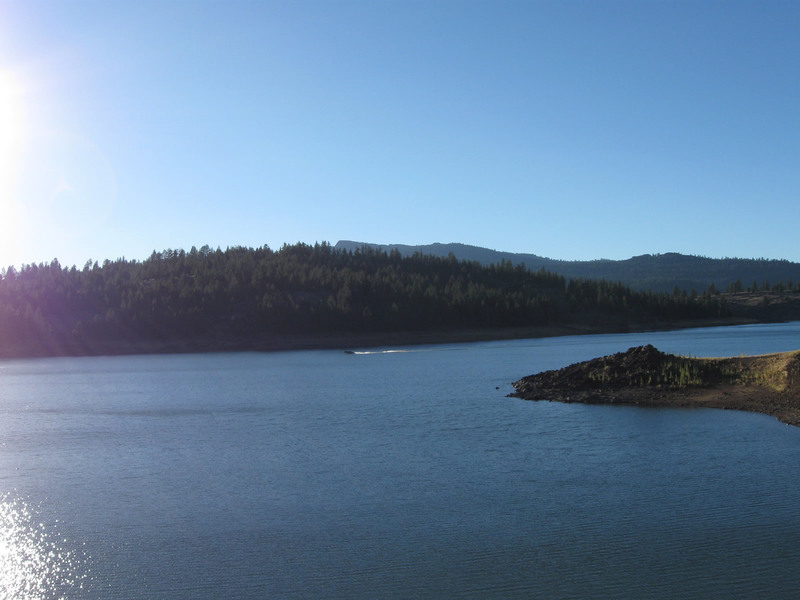 When full, the reservoir sits at an elevation of 5,588 feet. 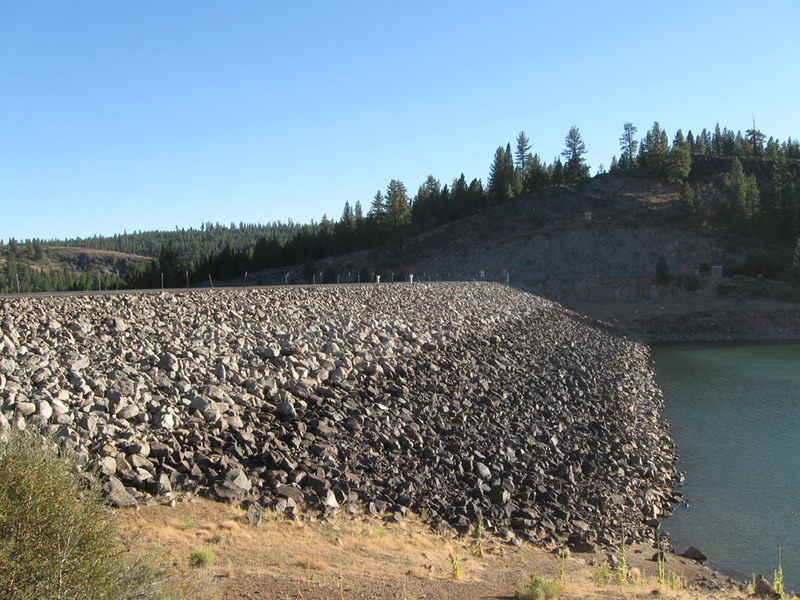 Construction on the dam was completed in 1961 as part of the California State Water Project.1 Recreational activities on Frenchman Lake are administered as part of the Plumas National Forest with activities such as camping, boating, and hiking. Photos taken 09/04/10. State Water Project: 50 Years and Counting and California State Water Project Today - Relevant quote: "There are three smaller lakes above Oroville in Plumas County -- Antelope Lake, Frenchman Lake, and Lake Davis -- which are mainly used for recreation and downstream releases for fisheries. 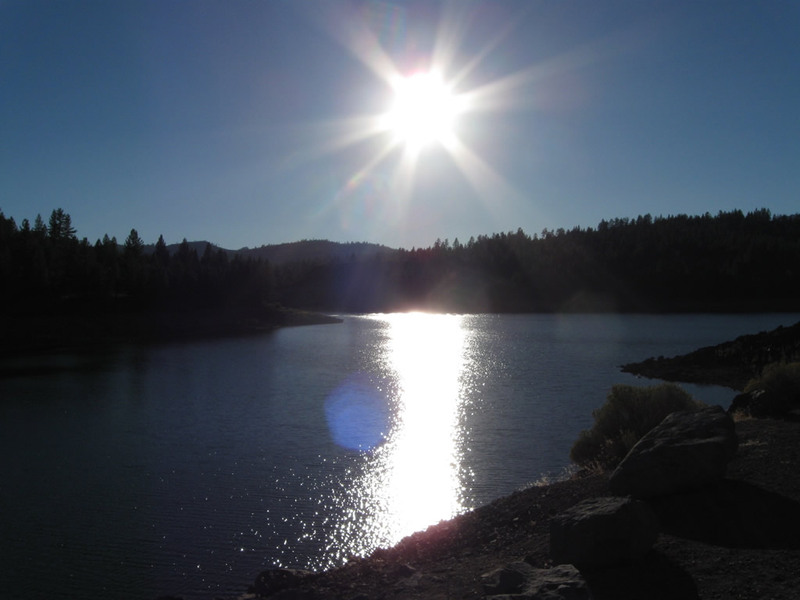 Lake Davis also provides water to the nearby community of Portola." Page Updated April 20, 2012.